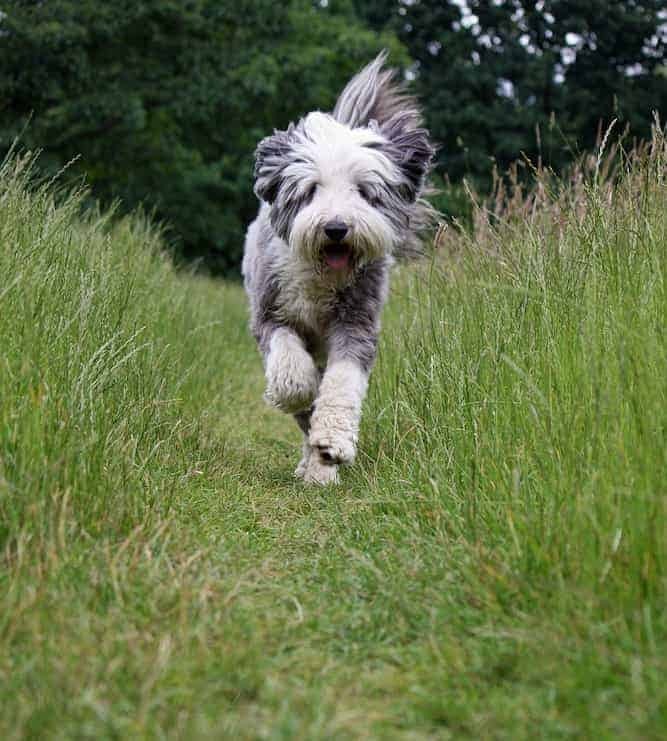 Bearded Collie Temperament (Lively, Intelligent, Confident) Keeping Up! The Bearded Collie temperament is happy and lively! These clownish dogs bring endless laughter and delight to their families. They make superb family dogs, as long as their owners are prepared to meet their needs. Bearded Collies are boisterous, playful, bouncy and need a lot of exercises. Beadies make great companions for outdoorsy families. However, without a proper channel for their energy, they will become bored and may develop unwanted behaviors. Therefore, it is critical to provide adequate exercise if you bring one home. 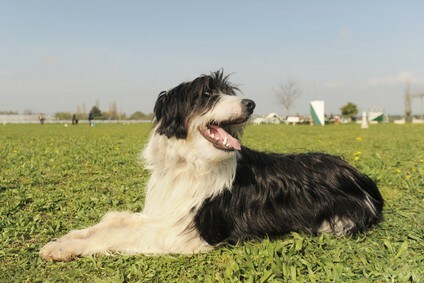 Like most herding breeds, Bearded Collies are extremely smart! They are very trainable, and they enjoy using their brains. They excel in obedience trials and they shine in the agility ring. Some Beardies are still used as working dogs to this day and in general Bearded Collies are happiest when they have a job! Bearded Collies are an outgoing breed. They are eager to meet new people and explore new places. These dogs want to be with their people. They thrive with human interaction and even become depressed if they are neglected outdoors. They must feel like they are part of the family. If you work long hours, consider a dog walker or doggie daycare. Bearded collies usually coexist peacefully with other dogs, and even cats, if they are introduced properly. They are wonderful companions for children as long as they are appropriately socialized and supervised. Bearded Collies are an ancient breed. Their origins are mysterious. Some people believe that they first appeared in Scotland in the 1700s. Historical accounts refer to a “shaggy faced dog,” although it was called by other names such as the Scotch Sheepdog or the Mountain Collie. 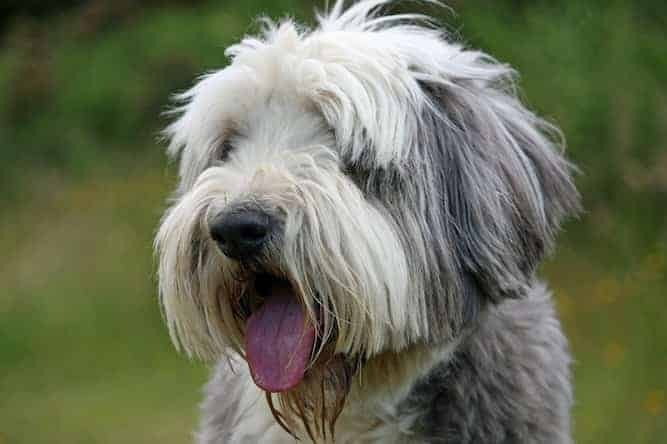 Many scholars believe that these were the predecessors of the modern Bearded Collie. But, the true origins of the Beardie may never be definitively known. 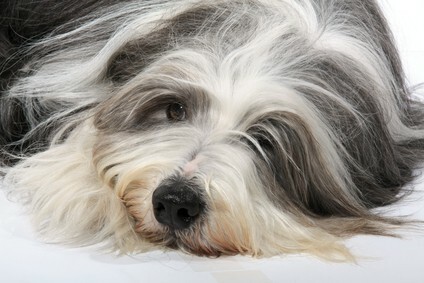 Over time, the breed developed into the Bearded Collie dog that we see today. Bearded Collies were bred to be smart, sturdy and brave and to have thick coats to withstand the elements. They had to be able to work with their owners in rough conditions. Training is a crucial part of dog ownership. It keeps your dog’s mind stimulated, while at the same time teaching him how to be a polite canine citizen. Start training early with puppy kindergarten classes or puppy socialization play dates. Enroll in a positive reinforcement training class with your Bearded Collie. Do not use harsh physical punishment when training your Beardie. Stay away from trainers who use words. Instead, look for a trainer that promotes positive reinforcement. This science-based training style is effective, humane, and never uses fear or pain. Positive reinforcement training will get you the best results while strengthening the bond between you and your Bearded Collie. If you are up for the fun and challenge of training your Bearded Collie then check out these FREE Dog Training RESOURCES. Bearded Collies weigh between 45-55 lbs and stand between 20-22 inches tall. Their most distinctive quality is their gorgeous double coat. This coat requires a lot of upkeep. Bearded Collie fur requires daily brushing and weekly combing to remove tangles. It also needs professional clipping a few times per year. Professional grooming can be expensive, so be sure to budget for this yearly cost. Bearded Collies do shed. Bearded Collie shedding can be kept to a minimum by diligent brushing and clipping, but moderate shedding will still occur. Shaving is not recommended. A shaved Bearded Collie loses the protection of its double coat. This can lead to issues such as sunburn. The shaggy coat and scruffy beard are part of the package. If you are not tolerant of dog hair, this is not the breed for you. The life expectancy of a Bearded Collie is between 12-14 years. Never forget that annual veterinary care is critical to good health. Good breeders will screen their dogs for genetic conditions. So be sure to inquire about medical records when acquiring your Bearded Collie. Like all dogs, Bearded Collies must receive monthly heartworm and flea prevention. Note: To better help you on your dog parenting journey pick up a copy of The Ultimate Guide to Dog Health. Your Beardie will love you, even more, for doing so. Once you decide that a Bearded Collie is a perfect pet for you, it is great to look into adoption options first. There are many, many homeless pets in America, so adoption is a wonderful way to acquire a pet and save a life. A good place to start is the Bearded Collie Club of America. They run a Bearded Collie Rescue Program. Most Bearded Collies enter the rescue program through no fault of their own. For example, their owners may be going through a financial crisis or divorce. You can locate other Bearded Collies for adoption through adoption websites such as Petfinder and Adoptapet. You can also visit your local animal shelter and fill out an application. If you are open to adopting a Bearded Collie mix, you will have even more options! 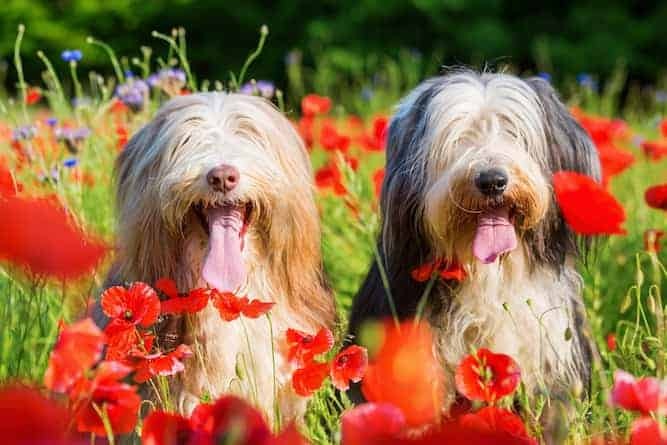 Bearded Collie mixes are fabulous because they retain many character traits of the breed, but they are healthier and less prone to genetic conditions. 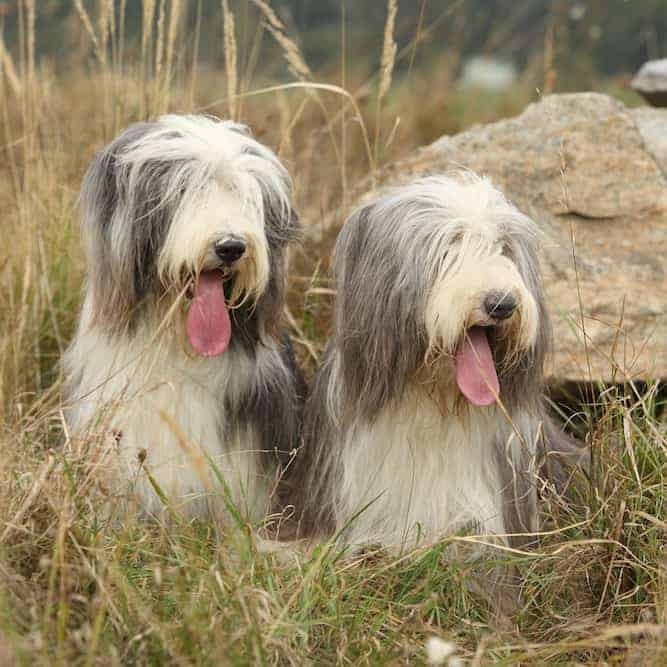 Most Bearded Collies for adoption will be adult dogs. This is not necessarily a bad thing. Of course, Bearded Collie puppies are cute, but they also need a ton of exercise, training and constant supervision. Adult dogs are more mature and mellow. They are usually housebroken and they have grown out of the chewing stage. The cost of adoption varies depending on the rescue group, but it is always less expensive than purchasing a dog from a breeder. The adoption fee for a Bearded Collie or Bearded Collie mix will likely be anywhere between $75 and $200. As an added bonus, Bearded Collies from shelters and rescue groups will usually be neutered, vetted, heartworm tested and vaccinated. If you decide to go through a breeder, the Bearded Collie price could be anywhere between $1500 and $2000. Do your research to make sure that your Bearded Collie puppy comes from a reputable source. It takes time and patience to find a Bearded Collie for sale from a responsible breeder, but it will be worth the wait. The Bearded Collie Club of America maintains a list of Bearded Collie breeders who have signed the BCCA code of ethics. This is a good place to start, but do not consider this listing an endorsement. You will still need to visit the breeders in person, scrutinize medical records, and ask more questions. Once you find a breeder with Bearded Collie puppies for sale, ask to take a tour of the premises. Make sure that the dogs are being kept in humane conditions. Ask to see the parents and review health records. The breeder is going to ask you questions, too. They need to make sure that their pup is going to a good home. Good breeders commit to their dogs for their whole lives. They will demand that you return the puppy to them if you can no longer keep your dog. Responsible breeders will also require you to spay or neuter your puppy when it reaches the appropriate age. Never purchase a puppy sight-unseen over the internet. You might be inadvertently buying a dog from a puppy mill. Even if the breeding facility looks legitimate in the photos, take the time to visit the property in person. Conclusion: Why the Bearded Collie? 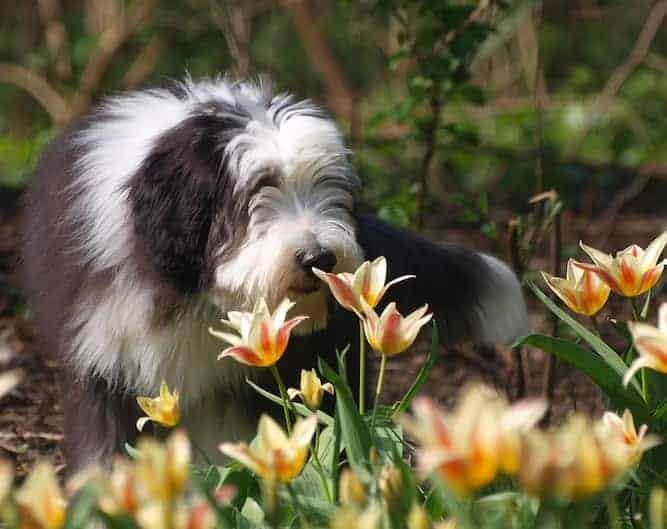 If you are looking for a big, boisterous, clownish dog, the Bearded Collie might be the perfect match for you. The Bearded Collie temperament is goofy and endearing. Once you are hooked on the Bearded Collie, you will be converted for life. Yes, you have to be comfortable with wet Beardie kisses, but this is nothing compared with a lifetime of love from your bearded buddy.